The world’s trading system survived the most protectionist US administration in memory, as the new NAFTA shows limits of America First. The reason—according to the Wall Street Journal—the resistance Mr. Trump encountered from Congress, business, his advisers and Canada and Mexico. A summary look at the range of reactions to the new US-Mexico-Canada Agreement. In other news: Resolute is selling its South Carolina paper mill; Palmer Renewable Energy plans its biomass launch in Oregon; Miller Western wins a safety award in Alberta; and the US Senate narrowly passed Daines’ bill to “end fringe litigation and the endless barrage of timber lawsuits“. Finally, Canadian Women in Timber pays homage to BC’s forest sector on its Forest Awareness Day. The Canadian Women in Timber are planning a celebration—one that pays homage to BC’s forest sector – Forest Awareness Day. For almost 30 years we’ve put the first Wednesday of October aside to look to our forests, and recognize them for the bounty they provide for us. Our grassroots organization is closely connected to the natural resource sector, and as such, we know how important forests are to every British Columbian. Our directors and members are volunteers who work at the community level to bring Forest Awareness Through Education to people who may not be as familiar with our forests. This year we are asking you to join us! Here’s what political and industry leaders are saying about the new U.S.-Mexico-Canada Agreement: “It’s an agreement that will be good for Canadian workers, good for Canadian business, and good for Canadian families — Prime Minister Trudeau. …”It is a great deal for all three countries — U.S. President Trump. …”Trudeau is trying to claim credit for things Conservative governments had already locked down —Andrew Scheer. …”This agreement is a highly significant achievement for Canada — former prime minister Mulroney. …”We’re calling on the Trudeau Liberals to compensate our farmers” — Ontario Premier Ford. …”The Liberals made concession after concession” — United Steel Workers Canadian Director Neumann. 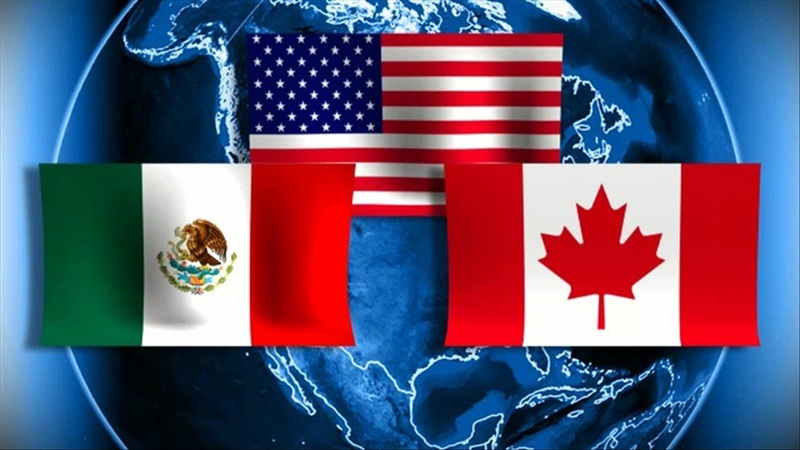 …”The USMCA will ensure certainty and improved trade stability” FPAC CEO Nighbor. Millar Western Forest Products’ Fox Creek and Whitecourt wood products operations have been recognized at the 2018 Alberta Forest Products Association AGM and Conference for exceptional safety performance. According to the announcement, Fox Creek operation won the Health & Safety Excellence Award for 2017 in Sawmill Category1 (40,000-400,00 hours worked), while Whitecourt operation won the Health & Safety Excellence Award for 2017 in Sawmill Category 2 (400,000+ hours worked). Fox Creek was also honoured for long-term commitment, winning the Outstanding Achievement in Healthy and Safety Award for 2015-2017. Representatives of the Government of Ontario will be touring the Northeast to develop a strategy for economic growth within the forestry sector. The Ministry of Natural Resources and Forestry (MNRF) will be hosting a number of roundtable discussions across the province to gather feedback. They begin their tour in November. The decision has been lauded by the Federation of Northern Ontario Municipalities. Jeff Yurek, Ontario Minister of Natural Resources and Forestry, said, “We want to ensure the forestry sector is going to be driven by a long-term vision of growth and be sustainable for communities across the province. …Scheduled meetings include stops next year in Kapuskasing on Wednesday, Feb. 6, Timmins on Friday, May 3 and Hearst on Friday, May 17. Unifor spokesman Steve Boon says forestry operations in the district are still in a good position, after this week’s trade deal. “Obviously, we would’ve preferred there was some kind of settlement that came out of NAFTA that was directly tied to resolving the softwood dispute,” he said. The last softwood lumber agreement with the U.S. expired in 2015. Boon added market conditions are good right now, and they allow mills to absorb tariffs on lumber from the area that’s exported to the United States. “I mean, it’s not something you want to absorb long-term, but our mills are positioned to absorb those 20 per cent duties that are currently applied,” he added. MONTREAL – Resolute Forest Products Inc. today announced that it has entered into a definitive asset purchase agreement with New-Indy Containerboard, LLC for the sale of its Catawba, South Carolina, paper and pulp mill, for a total purchase price of about $300 million, consisting of $260 million in cash, subject to customary closing adjustments, and the assumption of approximately $40 million of balance sheet liabilities, largely net pension benefit obligations. Catawba’s operation includes a kraft mill and a pulp dryer to produce market pulp, a thermomechanical pulp mill as well as a lightweight coated paper machine. The facility currently employs 460 people. Under the terms of the asset purchase agreement, New-Indy will offer employment to Catawba employees effective upon closing of the transaction, which is expected at or around year-end. The sale is subject to certain closing conditions. The Federation of Northern Ontario Municipalities is applauding the province’s plan to develop a strategy aimed at promoting economic growth in the forestry sector. FONOM issued a release Monday welcoming the “government’s plan to develop a provincial forestry strategy to reduce red tape and create an environment that supports growth and competitiveness within the sector.” “We thank the minister and his government for taking on this initiative to ensure the forest sector remains competitive. FONOM looks forward to providing input throughout the consultation process,” said FONOM President Danny Whalen, a councillor in Temiskaming Shores. He said Kapuskasing mayor Al Spacek, FONOM’s past president, will represent the federation in the initiative. A UH graduate’s relentless three-year quest proves even invasive trees can be turned into useful, even beautiful, dwellings. …Native to Indonesia’s Molucca Islands, Falcataria moluccana was brought to Hawaii in 1917 by botanist Joseph Rock. Thousands of albizia seedlings were planted to reforest the islands. …The tree grows so fast …that its wood is spongy and as flimsy as cheap wooden chopsticks. Is albizia the answer to Hawaii’s housing crisis? Probably not. It could take years before albizia is available at a commercial scale… However, Hawaii is poised to enter the “timber age.” …The Hawaii Wood Utilization Team is doing what it can to allay fears and speed adoption. Currently, it is working to find workarounds to code compliance and other obstacles in collaboration with WoodWorks, a national nonprofit funded in part by the Forest Service and the Softwood Lumber Board, which provides education, resources and free technical support on large-scale timber projects. All around the world, skyscrapers are increasingly featuring mass timber instead of steel or reinforced concrete. Architects praise timber structures, which use large, prefabricated wood pieces, for their resistance to fire and ability to sequester carbon. Skylines in US cities like Chicago may soon include wooden skyscrapers, and the state of Oregon recently legalized mass timber high-rises. In Toronto, Canada, Sidewalk Labs— which is affiliated with Google’s parent company, Alphabet — is planning to build a high-tech neighborhood out of mass timber. Another neighborhood of wooden skyscrapers has been planned for Stockholm, Sweden, where local firm Anders Berensson Architects was commissioned to design a district with 31 towers made from cross-laminated timber. VANCOUVER – Vancouver will host the largest international conference on urban forestry ever held, when more than 700 urban greening experts from across the world assemble for the International Urban Forestry Congress (IUFC 2018) from October 1st to 3rd. Trees and green spaces are crucial components of our cities and towns. However, most cities are still losing trees and green spaces due to climate change, invasive pests, development, and densification. Under the title ‘The Urban Forest – Diverse in Nature’, IUFC 2018 will focus on the importance of diversity in terms of using a wider range of trees (and other species) to make cities more ‘climate proof’. The unique three-day event will include a variety of keynote speaking sessions, Tree Academy classes and workshops, field trips and a tree climbing competition. MARQUETTE COUNTY, Mich. – Senate Bill 396 is a proposal by Senator Tom Casperson. 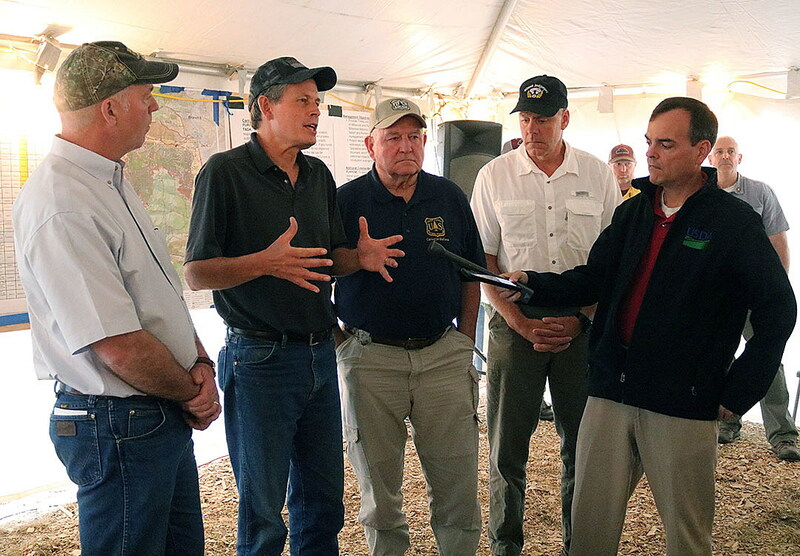 The bill’s wording would allow logging companies to determine when a gravel or dirt road can be used by their trucks during the spring season when many roads are under weight-restriction guidelines. Right now the decision lies solely on county road commissions. “The roads are very tender, you’re going to create too much damage by hauling either logs or equipment out of the field at this time,” said Jim Iwanicki, Engineer Manager at the Marquette County Road Commission. … Senator Casperson says logging company’s decisions would still be based on weather and would take road commission recommendations into consideration. 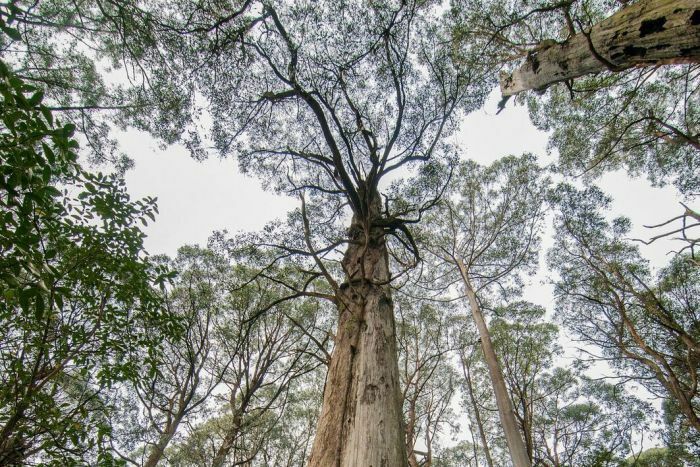 A new national park in Victoria’s central highlands — home of the state’s animal emblem, the leadbeater’s possum — will not be created if the Coalition win government. Speaking at Melbourne Zoo on Monday, Victorian Opposition Leader Matthew Guy said the creation of a Great Forest National Park was not on the Coalition’s agenda. Junior Coalition partner the Nationals have been clear in opposing the park. Mr Guy said the Liberals and Nationals were unified on their policy towards a Great Forest National Park. “Our policy on this is 100 per cent rock solid and is 100 per cent correct together,” he said. Environmentalists have been pushing to set aside 355,000 hectares of land to create the Great Forest National Park. Logging of native timber occurs in the region and the industry says a national park would destroy the sector. 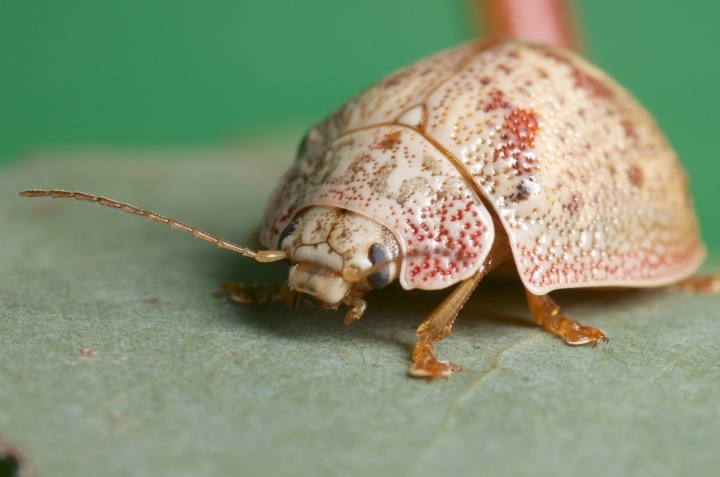 The Environmental Protection Authority (EPA) is considering an application to release a parasitoid wasp to control the eucalyptus tortoise beetle. Scion, the Crown Research Institute focused on research, science and technological development for the forestry and timber industries, has lodged the application. …“According to the applicant, the beetle costs the forest industry $1.0-$2.6 million a year in chemical control costs. …Farm foresters and owners of moderately-sized eucalyptus plantations cannot afford aerial spraying, so biocontrol is their only realistic option to combat damage done by the beetle, Scion notes. “Eucalyptus trees are grown in New Zealand as a source of products such as woodchips for paper and cardboard manufacture, lumber, and durable poles which do not require preservative treatment,” Dr Thomson-Carter says. The seeds of an idea from the 1950s took root in Duncan and today has branched out to a massive operation in South Surrey that has the goal of planting replacements for every lost tree in the province, and more. “We’re a full-service facility that process cones and seeds,” Dave Kolotelo, cone and seed improvement officer at the B.C. Tree Seed Centre, said. “We store seeds and prepare seeds for nursery sowing in British Columbia.” …This year more than a quarter-billion seedlings will be planted with seeds provided by the centre’s 36 tonnes of seed stock from 15 species. That represents about $80 million of seeds on-site. …The centre also houses a gene bank, with 10,000 tree seeds from 42 species and is working on the restoration of whitebark pine, a long-living but endangered species found at high elevations. SPRINGFIELD – Palmer Renewable Energy is planning a spring groundbreaking for the $150 million biomass energy plant it wants to build in East Springfield, an attorney representing the company said Monday. The move comes more than two years after the last time the wood-to-energy project was in the news and follows more than a decade of litigation, regulatory approvals and neighborhood protests. …Fitzgerald said the groundbreaking is set for spring after conferring with his clients. …Fitzgerald said Palmer Renewable Energy is a separate company owned by investors including the Callahan family, who sold Palmer Paving to Peckham.